If your domain name is available, you can register it for a period of a time that you specify during the checkout process. 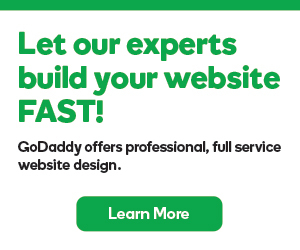 You can use your mobile device to register .com, .net, .org, .tv, .me, .biz, .info, and .mobi domain names through m.godaddy.com. Note: To register domain names through your mobile device, your device must include Internet access. To get started, you need to check if the domain name you want is available. In the field, enter the domain name you want to register, and then select the extension from the list. If the domain name is available, follow the instructions to complete the checkout process. As you complete your registration, include valid information for each contact. Internet Corporation for Assigned Names and Numbers (ICANN), the governing body for domain names, requires valid information for your contact information (Registrant, Technical, Billing, and Administrative). If you enter false information, your domain name can be canceled.